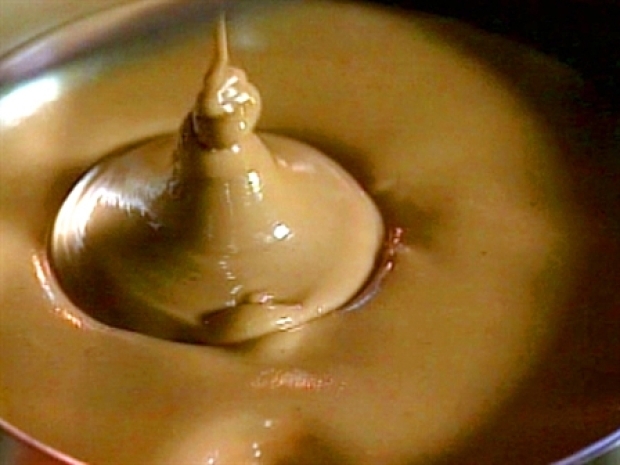 The company at the center of the salmonella-tainted peanut health scare declares bankruptcy. The peanut processing company at the heart of a national salmonella outbreak is going out of business. The Lynchburg, Va.-based Peanut Corp. of America filed for Chapter 7 bankruptcy in U.S. Bankruptcy Court in Virginia Friday, the latest bad news for the company that has been accused of producing tainted peanut products that may have reached everyone from poor school children to disaster victims. "It's regrettable, but it's inevitable with the events of last month," said Andrew S. Goldstein, a bankruptcy lawyer in Roanoke, Va., who filed the petition. The salmonella outbreak was traced to the company's plant in Blakely, Ga., where inspectors found roaches, mold and a leaking roof. A second plant in Plainview, Texas was shuttered this week after preliminary tests came back positive for possible salmonella contamination. So far, the outbreak has been suspected of sickening more than 630 people and may have caused nine deaths. It also has led to more than 2,000 product recalls, one of the largest recalls in U.S. history. Another death is reported as a peanut company owner asserts his Fifth Amendment rights in the salmonella probe. Companies file Chapter 7 to liquidate their assets and distribute the proceeds to creditors. A trustee is automatically appointed to oversee the wind down, as opposed to a Chapter 11 filing that gives a company breathing room while it tries to reduce its debts and continue in business. The company said in the filing that its debt and assets both ranged between $1 million and $10 million. The board had considered a Chapter 11 bankruptcy but decided on an outright liquidation. It said in a court filing that the recalls had been "extremely devastating" to the company's financial condition. "We kicked the tires on trying to reorganize, but the fact of the matter is they've absolutely closed down," Goldstein said. "They're prevented from carrying on business. There didn't seem like there would be any prospects." The company's problems have multiplied since the link to its Georgia plant. The government is working on a criminal investigation into the case, and more than a dozen civil lawsuits have been filed. This week, Peanut Corp. president Stewart Parnell repeatedly refused to answer questions before the House Energy and Commerce investigations subcommittee, which is seeking ways to prevent another outbreak. But e-mails surfaced indicating he ordered products the company knew were tainted to be shipped anyway. Reached by telephone, Parnell said his attorneys had advised him not to talk. "If I could do it, I would," he said. Despite Friday's bankruptcy filing, food safety lawyers are optimistic that victims and their families can still be compensated. The bankruptcy proceeding could postpone litigation against the company, but lawyers plan to push a judge to allow civil lawsuits to go forward anyway. And many have also filed lawsuits against Solon, Ohio-based King Nut Co. and Battle Creek, Mich.-based Kellogg Co., which they say used the tainted ingredients in their products. "Even if Peanut Corp. doesn't have enough insurance and enough assets to cover the damages, King Nut and Kellogg will have to step up," said Bill Marler, who has filed seven lawsuits against the company and represents more than 40 possible victims. Fred Pritzker, a food safety lawyer in Minneapolis who filed a wrongful death lawsuit against the company, said it could delay justice for his clients. "For all the people whose loved ones have been killed or people who have been out of work or suffered serious injury or who have incurred medical bills, right now they're just left with a lump of uncertainty," he said. The company began as a family business in 1977, and Parnell, his father and two younger brothers turned the struggling peanut roasting operation into a $30 million operation before selling it in 1995. But in 2000 Stewart Parnell bought his own peanut plant in Texas, and a year later he bought the Blakely, Ga. operation after teaming up with a financial backer, David Royster III of Shelby, N.C. He also operated a plant in Suffolk, Va. It all came crashing down when federal investigators identified the Georgia plant as the sole source of the salmonella outbreak, and questions began emerging about how the company operated its plants. The company faced more scrutiny once it was revealed that its Texas plant, which opened in March 2005 and was run by a Peanut Corp. subsidiary, Plainview Peanut Co., was not inspected by state health officials until after problems arose at the company's Georgia plant. Texas health officials asked the company to close the plant Monday after samples sent to a private lab for testing showed possible salmonella contamination. On Friday, companies began destroying products made with anything that came from the plant after Texas health officials said they discovered rodents, feces and feathers in a crawl space above a production area. 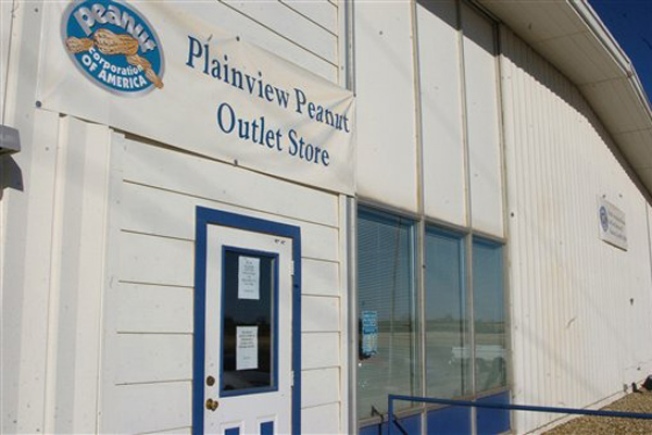 An air handling system sucked debris from the crawl space into an area where peanuts are processed, officials said, so Texas officials took the highly unusual step of ordering all products ever made at the plant recalled. "The reason we went back to March of 2005 is because it could not be determined how long those conditions had existed in that facility and ... it would have been risky to guess," said Doug McBride, a spokesman for the Texas Department of State Health Services.